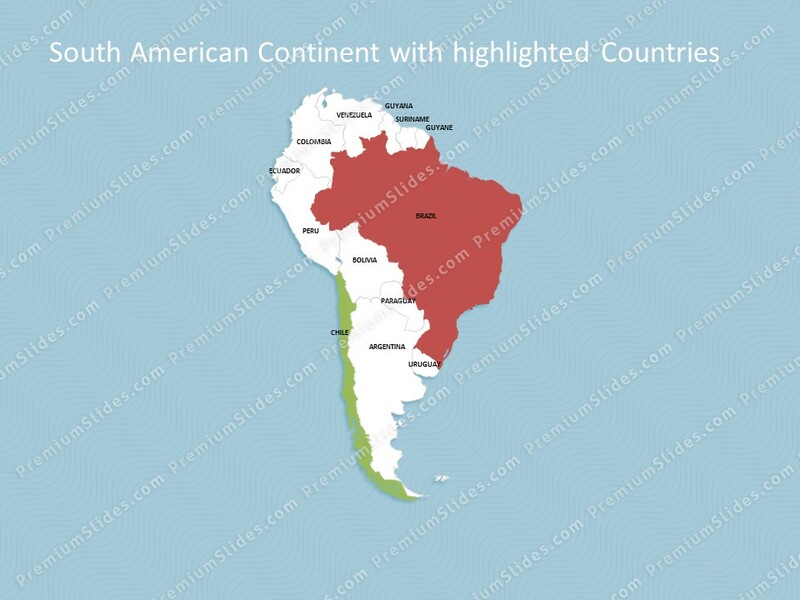 Premium PowerPoint Map of South American Continent. 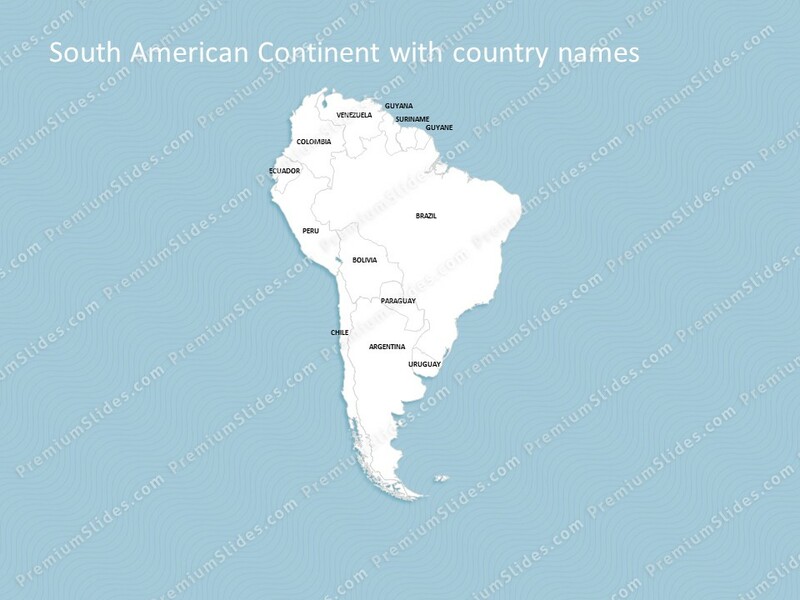 This detailed PowerPoint Map Template shows South America’s countries, country names and capitals. Premium PowerPoint Map of South American Continent. This detailed PowerPoint Map Template shows South America’s countries, country names and capitals. The South America PowerPoint Map is hand drawn and fully editable in size and color. Specific territories can be highlighted easily with just 2 clicks in PowerPoint. The extensive Map Guide, which is included in this package, shows the easy steps of adjusting the map to your needs. The South America Map Template is a great benefit for showing sales and statistic data in different countries. Do not wait! 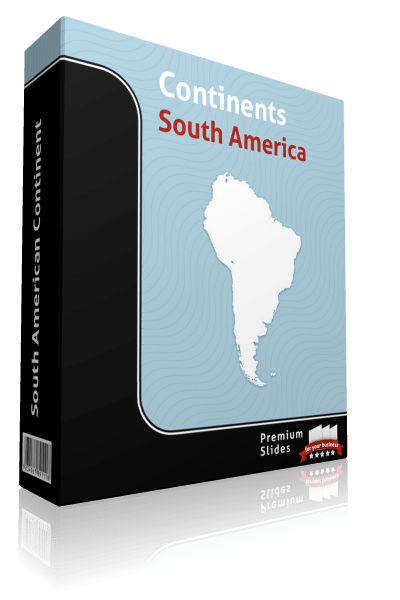 Get this Premium South America Map Template today and impress your audience in your next meeting!